The French president told troops in Afghanistan that the French exit from Afghanistan is imminent. FRENCH PRESIDENT FRANCOIS Hollande has told troops in Afghanistan that France will coordinate closely with NATO allies and Afghan authorities about its imminent exit from the war. Speaking to French troops at Nijrab Base in the northeastern province of Kapisa today, where the majority of France’s 3,550 troops in the country are based, he defended his decision to withdraw them from combat operations two years before the rest of the 130,000 US-led NATO contingent. It is Hollande’s first visit to Afghanistan since taking office earlier this month and he was also due to hold talks with Afghan President Hamid Karzai. The calendar for the French withdrawal is expected to be drawn up within days. “It’s a sovereign decision. Only France can decide what France does. It will be conducted in good understanding with our allies, especially President Obama, who understands the reasons, and in close consultation with Afghan authorities,” Hollande said. “Without having totally disappeared, the terrorist threat from Afghanistan to our and our allies’ territory has been partially curbed,” he added. He said France would continue development projects in Afghanistan but said the time had come for Afghans to “take the path they choose freely” in deciding the future of their country. The French head of state’s previously unannounced visit was expected to last a few hours. He was accompanied by French defence and foreign ministers, Jean-Yves Le Drian and Laurent Fabius, and chief of army staff Admiral Edouard Guillaud. Hollande told US President Barack Obama at the G8 summit in Camp David and made it clear at the NATO summit in Chicago that he would not renege on a campaign pledge to repatriate French combat troops a year earlier than Paris planned. Eighty-three French soldiers have died since late 2001, when US-led troops invaded to bring down the Taliban regime after the 9/11 Al-Qaeda attacks on the United States. France provides the fifth largest contingent to the 130,000-strong US-led NATO force battling Taliban insurgents, but Kabul has downplayed the effect of their early departure, saying Afghan troops are ready to take over. Other NATO allies agreed in Chicago to an unconditional withdrawal by the end of 2014, leaving Afghans responsible for national security. Paris has so far reserved judgment on contributing to the cost of the Afghan security force budget, estimated at $4.1 billion a year from 2015. There has been little public NATO criticism of the French position and with war fatigue building in Western capitals, few want to keep combat troops in Afghanistan any longer than deemed necessary. But analysts have expressed growing concern about the fixed withdrawal, pointing out that Afghan security forces have a mixed record at best and questioning whether a security vacuum will only heighten violence if not hasten a return to civil war. “Clearly there is a rush for the exits by Western leaders, but there is no Plan B to address worsening battlefield conditions and political crises if they occur,” wrote veteran Afghan watcher, Ahmed Rashid, in The New York Review of Books. More Afghan civilians died in 2011 than the total number of NATO troops, 3,009, killed since 2001. And last year’s 3,021 civilian deaths marked the fifth straight year that the toll has risen, according to UN figures. The number of internal refugees last year hit nearly half a million, the highest for about a decade, part of what Amnesty International has called “a largely hidden but horrific humanitarian and human rights crisis”. And more than 30,000 Afghans sought asylum abroad last year -another 10-year high. Thousands of others make their way abroad illegally. Email “Francois Hollande makes surprise trip to Afghanistan over troop pullout”. 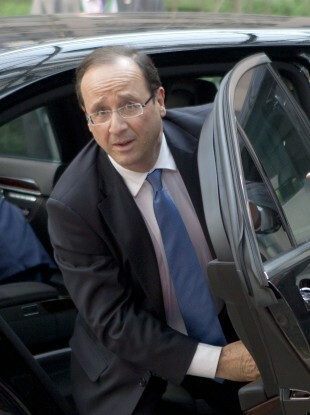 Feedback on “Francois Hollande makes surprise trip to Afghanistan over troop pullout”.